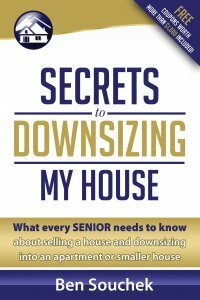 Ben with Home Downsizing Solutions by The Sierra Group LLC discusses purchasing a house from sellers who had owned the house a long time, needed many updates and repairs, and just wanted to downsize in a stress and hassle free way. 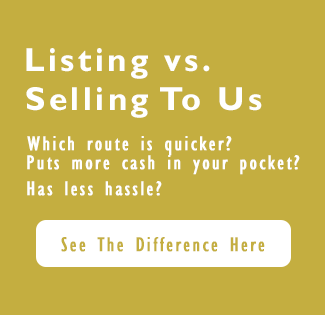 Hi, I’m Ben Souchek with Home Downsizing Solutions by the Sierra Group and I’m standing in front of a house here that we purchased recently from a couple that was ready to downsize. They had been in the house for a number of years and it just got to be too much for them to take care of. Over the years, they didn’t have some updates done that probably should have been done, but it just got to be too much for them. It had some code violations by the city on … at the point that we purchased it and just needed a lot of updating. They decided it was finally time for them to move into a living arrangement that was a little bit easier for them to work with and more comfortable for them. They called us, and actually this process started three or four years ago when they first contacted us, but they finally decided that it was time now to make that transition into a little easier living conditions. So we purchased the house, as is, for cash. We allowed them to make the transition to their new home at their convenience and they really appreciated what we did for them.